In the world of Search and Rescue operations, dogs have a very special place. their keen sense of smell, excellent night vision, extremely sensitive hearing and endurance have made them crucial in efforts to locate people who are missing or trapped. A Guide Dog is trained to lead, follow commands, ignore distractions, and even disobey if that would put its human partner in danger. The human also must be trained on how to handle the dog and how to be a good leader of the team. A Hearing Dog is specially trained to alert its deaf owner to sounds we all take for granted. Unlike a Guide Dog that must be of a certain body size in order to lead a person, a Hearing Dog can be large or small, pure-bred or mixed breed. Many are shelter animals who are determined to have the intelligence and temperament to serve as a Hearing Dog. It is a perfect blending of needs - deaf individuals have the opportunity to live an independent life, and dogs who may literally die for lack of homes are given a purpose and owners that will love and care for them. Guide dogs and hearing dogs are living examples of the trust bond between human and animal. Over the past several weeks I have highlighted some of the eight finalists for the Hero Dog Award, sponsored by the American Humane Association. “JJ Krawczyk” is nominated in the Service Dog Category, “Xena the Warrior Puppy” represents the Emerging Hero Dog category, “Kai” is an Arson Dog, “K9 Kota” represents Law Enforcement Dogs, the Military Dog is a Lab named Chaney; and “Susie”, a Pit Bull-Shepherd mix, is a Therapy Dog. The remaining two finalists represent the most commonly noticed service dogs. Xxon, a German Shepherd, is the Guide Dog for retired Air Force staff sergeant Michael Malarsie who was severely wounded and blinded by an IED in Afghanistan in 2010. One year later, Xxon became Michael’s teammate and constant companion, allowing him the independence he thought was gone forever. Xxon’s charity partner is the Fidelco Guide Dog Foundation, which breeds, raises and trains an elite line of German Shepherds. Xxon is a Fidelco dog. 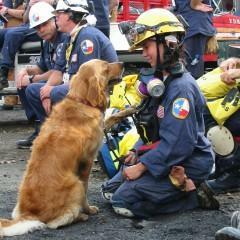 A Golden Retriever named Bretagne is nominated in the Search and Rescue Dogs group. Her first assignment was Ground Zero after 9/11. She worked tirelessly, sniffing for any sign of survivors, walking over twisted metal, broken glass, pulverized concrete, with no leash, no collar and nothing to protect her feet because that might interfere with her traction on slippery surfaces. When she wasn’t working “the pile”, she listened as first responders shared stories with her of their struggles. She has searched after other major disasters, as well, including Hurricanes Ivan and Katrina. At age 14, she has retired from her search and rescue work, but she is still listening as first graders practice reading to her. Bretagne’s charity partner is the Penn Vet Working Dog Center. Learn more about the wonderful animals that are nominated for the 2014 Hero Dog Award by visiting website at HeroDogAwards.org. Cast your vote for the finalist you think should be America’s Hero Dog. Whether saving a life or just enriching one, these four-legged heroes deserve our gratitude, when we’re speaking of pets. The 2014 Hero Dog Awards seek to find and recognize dogs who help people in many important ways. Dogs are nominated in one of eight categories: Service Dogs, Emerging Hero Dogs, Law Enforcement Dogs, Arson Dogs, Therapy Dogs, Military Dogs Search and Rescue Dogs, Guide/Hearing Dogs. The Law Enforcement Dog category includes what we often think of as police dogs, animals specially trained to patrol, search buildings, track criminals, and to detect drugs, narcotics and explosive devices. 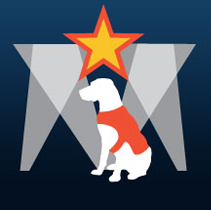 The 2014 Hero Dog Awards seek to find and recognize dogs who help people in many important ways. Dogs are nominated in one of eight categories: Service Dogs, Emerging Hero Dogs, Law Enforcement Dogs, Arson Dogs, Therapy Dogs, Military Dogs, Search and Rescue Dogs, and Guide/Hearing Dogs. 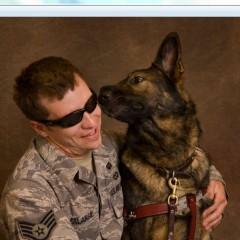 The Service Dog category includes animals that assist people with disabilities other than sight and hearing. Most have received special training.